Over the past month an environmental catastrophe of unprecedented scale has unfolded along Vietnam’s north-central coast. 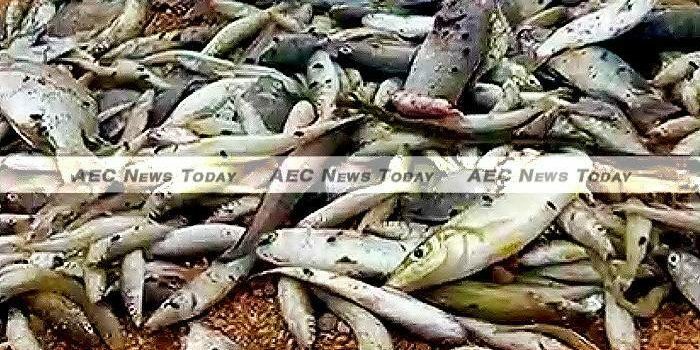 Over the first week of April hundreds of tons of dead fish washed ashore along a 200 km (124 mile) stretch covering four provinces: Ha Tinh, Quang Binh, Quang Tri and Thua Thien-Hue. Fishermen were left without income and divers reported a sea emptied of life. 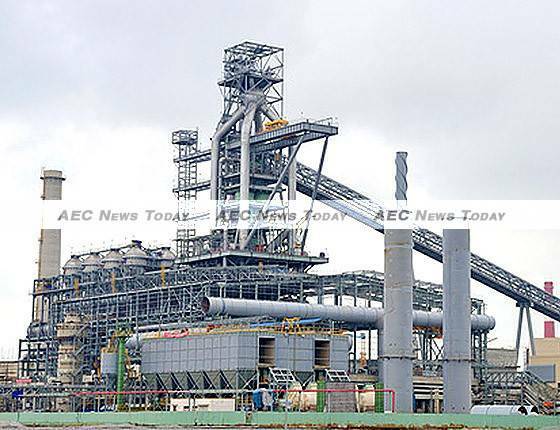 Public attention quickly focused on Formosa Ha Tinh, a multi-billion dollar steel mill operated by a subsidiary of Formosa Plastic Corporation, a Taiwanese firm with a poor global environmental record. Local newspapers reported that divers working on a port facility for the plant had noticed a 1.5 km- (0.93 mile-) long wastewater pipe running from the plant into the sea. The divers claimed that smelly, discoloured effluent was pouring out of the pipe, and several of them fell ill from whatever was in the water, and one is reported to have died. The dead fish began appearing on nearby beaches at the same time. Though the scale of this disaster was evident to everyone in the region, the media didn’t pick up on the story until mid-April, and the government took even longer to respond. By this time news of the dead fish had spread throughout the country on Facebook and other social media sites, which are widely used and outside of the state-censored national media. People were angry and Formosa’s flippant reaction only made matters worse. On April 25 Chou Chun Fan, Formosa Ha Tinh’s public relations director, told Vietnamese villagers that they had to choose between having fish and a modern steel industry. It wasn’t possible to have both, he is reported as saying. Fan was quickly fired and his bosses apologised for the remark, but the damage was already done. The phrase toi chon ca (I choose fish), became a rallying hashtag on social media as members of the public blasted Formosa for its disregard for the environment. In late April environment minister Tran Hong Ha inspected Formosa Ha Tinh and apologised for the government’s delayed recognition of the issue, while vowing that the ministry was testing both the fish and the water in the area. He said no connection between Formosa and the dead fish had been discovered, while other officials attempted to blame an algae bloom or everyday chemical runoff in the area. 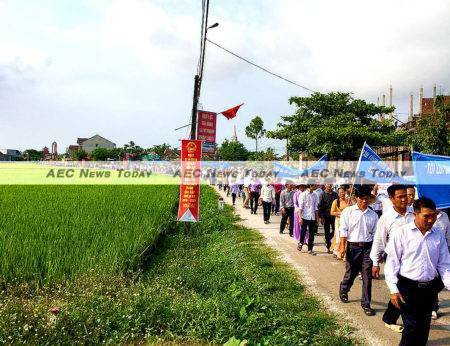 On May 4, a month after the fish kill began, newly installed Prime Minister Nguyen Xuan Phuc ordered authorities in Ha Tinh to tighten control over wastewater discharge and heighten water testing in the area. Foreign experts were also invited in to help determine the cause of the dead fish. Prime Minister Phuc also assured the nation that the cause of the die-off would be announced whenever it was confirmed. While public opinion firmly blames Formosa for the disaster, the firm has steadfastly denied any wrongdoing, while the Vietnam government has yet to announce their findings. On May 1, protests against Formosa and environmental pollution at large were held in Hanoi and Ho Chi Minh City, along with other major Vietnamese cities. Public rallies are rare in Vietnam, but the police largely looked on as people of all ages marched with signs denouncing Formosa and stating the importance of nature. Several videos eventually surfaced on Facebook showing plain-clothes security officers roughing up some protesters, but overall the events were calm. 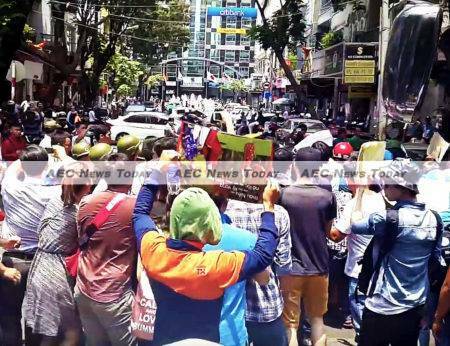 Similar rallies were held on May 8, but this time the government was less lenient. The one in Hanoi was quickly broken up amid arrests, while in HCMC activists posted videos of demonstrators being herded onto buses and pictures of people being detained in police stations. None of this was reported by the national media so it’s difficult to get a sense of exactly what actually occurred given the opacity of Vietnam’s security apparatus and media. This past Sunday, word spread through Facebook that the next protest would be held near Saigon’s backpacker area. The hope of the organisers was that the presence of foreigners would garner more attention for the cause and maybe give the security forces pause. Access to Facebook and Instagram were blocked the day before the planned protest, while State media finally acknowledged the protests for the first time. The events were blamed on Viet Tan, an organisation which the Vietnamese government considers a terrorist group. This made it clear that the authorities would tolerate little the following day, even if the claim was patently ridiculous. On Sunday, a heavy security presence had nearly every corner in the city centre covered in police and security officers. The march was planned for 4pm, but security forces sealed off the park where demonstrators were supposed to congregate and largely disrupted the gathering before it even began. There have since been reports of further arrests and scuffles, but again, it’s difficult to get a full account of what took place. Facebook access has since returned to normal. The government’s lack of urgency in determining the cause of the dead fish has created a major headache for itself, as public unrest is one of its greatest fears. What started out as anger at a company for industrial pollution has blossomed into discontent with what many see as official willingness to look the other way while companies lay waste to Vietnam’s environment in the name of faster GDP growth. When the new government took power last month it is unlikely it expected that its first major test would be related to dead fish. This certainly isn’t the first time a company has polluted Vietnam, or been accused of it, but the optics of this disaster are undeniably dramatic. For a population that is becoming more and more concerned about the environment, it is impossible to ignore. The authorities are in a tight spot: if they continue to prevaricate on what caused the dead fish they face the likelihood of more, possibly larger protests, while cracking down on industry could scare foreign investors looking to enter the country. To compound matters further, both the elections for the National Assembly and the arrival of US President Barack Obama for a visit to Hanoi and HCMC are scheduled for this coming weekend. The authorities will want to present a strong front – will the people they want to control cooperate?